First name Is pronounced YHAN-heir-vis...Attended Tomas Alba Edison High School in Valencia, Venezuela...Is the nephew of Roger Cedeño, who played in the Majors from 1995-2005...Played Little League in Venezuela with current Giant Pablo Sandoval...both Solarte and Sandoval then played on a Venezuelan Youth National Team with teammate Gerardo Parra...Has three daughters: Yanilett, Yuliett and Yulianna. Spent the entire season in Toronto, his first season in the American League since his 2014 debut season...Was Acquired by Toronto in exchange for RHP Jared Carkuff and OF Edward Olivares on January 6...Had 16 home runs and 48 RBI in 92 games prior to the All-Star break...had one home run and six RBI in 30 games following the break...Was placed on the 10-day injured list with a strained right oblique from August 12-September 9...Played 83 games at third base, 28 games at second base, seven games at shortstop and four games at first base...Went 5-for-6 on May 3 in Game 1 of a doubleheader at Cleveland with one home run and six RBI...the five hits were a new career-high while his six RBI matched his career-best mark...also homered in the second game...Turned in his fourth career multi-homer game with his two homers on June 5 vs. Washington...was his second multi-homer game with home runs from both sides of the plate...Notched his 300th career RBI on September 24 vs. HOU. Played in the 2017 World Baseball Classic for Venezuela, going 3-for-6 and scoring twice over five games ... Set career bests in home runs (18) and stolen bases (3) ... Ranked 2nd on San Diego with 64-RBI, 37-BB and seven 3+ hit games, 3rd in hits (119) and T-3rd in HR...Led the team in go-ahead RBI (23) and game-winning RBI (10) ... Hit .301 with runners on base (.219 with none on)...Batted .293 (34-for-116) with runners in scoring position ... Hit .343 (24-for-70) on the first pitch of at-bats, including 7-2B, 3-HR and 19-RBI (.909 OPS) ... Played eight games at first base (four starts), 79 games at second base (74 starts), 28 games at shortstop (24 starts) and 22 games at third base (18 starts) ... Put together a season-long seven-game hitting streak from April 21-27 (12-for-27, 3-2B, 5-RBI)...Matched that stretch again from June 12-19 (11-for-28, 1-2B, 5-HR, 8-RBI) ... Was hit by a pitch twice in the same game for the 1st time in his career on April 28 at SF ... Homered twice on June 17 at MIL (both go-ahead HRs), the 3rd multi-HR effort of his career (2nd against the Brewers)... The second blast came in the 10th inning for his 1st career extra-inning home run ... Doubled and homered on June 19 at CHC, giving him 4HR in a 4G span...The homer was his 1st extra-base hit of the season from the right side, after hitting 18 as a lefty ... Placed on the DL from June 23 to July 29 with a strained right oblique ... Doubled twice and homered on Aug. 22 at STL as he drove in a career-high six runs...The 3-XBH marked a personal best and tied a season high for the Padres (also: Myers on April 10, Renfroe on Sept. 20) ... In the first game of a doubleheader on Sept. 2, 2017 vs. LAD, hit his 1st career walk-off homer with a solo shot in the 9th inning off of Pedro Baez ... Hit his 16th home run on Sept. 6 vs. STL, surpassing his career high of 15 in 2016 ... Collected at least one hit in 11 of his final 12 games from Sept. 19-Oct. 1, batting .298 (14-for-47) with 4-XBH and 5-RBI. In his second full season with the Padres, set career-highs in home runs (15), RBI (71) and batting average (.286) with 26 doubles, one triple and 55 runs scored to go along with an .808 OPS (.341 OBP, .467 SLG) in just 109 games played...Missed some time while on the disabled list, first from 4/10 - 5/21, with a strained right hamstring…also missed some time due to a personal family matter...From 6/24 through the end of the season, over his final 75 games, he hit .299 (87-for-291) with 19 doubles, one triple, 11 home runs, 49 RBI and 41 runs scored to go along with an .823 OPS (.339 OBP, .485 SLG)...He set career-highs on the season in home runs (15), RBI (71), average (.286) and OPS (.808), despite playing in just 109 games after playing in 152 games in 2015...Against right-handed pitching, the switch-hitter hit .291 (90-for-309) with 12 of his 15 home runs, while hitting .271 (26-for-96) vs. left-handers...Enjoyed his best month of the season in July when he hit .308 (28-for-96) with eight doubles, six homers, 17 RBI and 14 runs scored in 22 games…also had a nice September when he hit .355 (27-for-81) with five doubles, two homers and 17 RBI...Had a career-best 14-game hit streak from 9/6 - 29, hitting .385 (20-for-52) over that streak, the longest by a Padre in 2016 ...Had his second career multi-homer game on 5/27 at Arizona, hitting two homers and driving in four...Overall on the season he hit .331 (58-for-175) with runners on base, .302 (32-for-106) with runners in scoring position and .271 (13-for-48) with RISP and two outs...Spent the majority of his season batting cleanup in the order, where he hit .289 (77-for-266) with 19 doubles, 11 home runs, 46 RBI and 40 runs scored to go along with an .831 OPS (.346 OBP, .485 SLG)...Selected as the 18th winner of the Tony Conigliaro Award, given annually to the "Major Leaguer who has overcome adversity through the attributes of spirt, determination and courage that were the trademarks of Tony C.
Played in a career-high 152 games and set career-highs in nearly every offensive category, including hits (142), runs (63), doubles (33), triples (4), home runs (14), RBI (63) and batting average (.270)....Finished second on the club with 142 hits behind Matt Kemp's 158 hits…finished third on the team overall with 63 RBI, behind Matt Kemp (100 RBI) and Justin Upton (81 RBI)....Made a career-high 125 starts after starting 124 games the previous season…started 85 games at third base, 25 at first base, 14 at second base and one as the designated hitter....In the second half, he started 64 of the Padres 72 games at third base....Over his first 30 games from 4/7-5/9 he hit .297 (27-91) with two home runs and 18 RBI before hitting .189 (23-122) with no home runs and eight RBI over his next 37 games from 5/10-6/24…from 6/25 through the end of the regular season he hit .294/.341/.498 (92-313) with 12 home runs, 37 RBI and 47 runs scored over his final 85 games...Overall in the second half he hit .292/.336/.470 (77-288) in 70 games after hitting .248/.304/.385 (65-262) over 82 games in the first half....The switch-hitter hit .278 (113-406) from the left side against right-handed pitching and .242 (29-120) from the right side against left-handers. ...Overall on the year he hit .305 (36-118) with runners in scoring position, including .328 (19-58) with RISP and two outs…with the bases loaded he was 4-for-8 (.500)....In 75 games at home in 2015 he hit .300 (77-257) while hitting .242 (65-269) in 77 games on the road....Had a career-best 11-game hitting streak twice in 2015, once from 7/25-8/5 (.413, 19-46) and another from 8/30-9/10 (.404, 19-47)....Homered in a career-high three consecutive games from 8/18-21, the first Padre to homer in three-straight games since Chase Headley did so in 2013 (9/13-15/13)...Collected an extra-base hit in a career-best five-straight games from 6/30-7/4, the longest such stretch for the Padres in 2015....Had the first multi home run game of his career with two home runs on 8/3 at MIL....Collected a career-high tying four hits twice in 2015, first on 7/29 at NYM and a second time on 9/3 vs. LAD (only other four hit game came on 7/30/14 vs. STL)....On 6/25 at SF entered the game as a pinch-hitter in the eighth and collected both a double and a single in the inning, becoming just the second Padres player since 1974 to have two hits in an inning after entering the game as a pinchhitter with the only other by OscarAzocar who had two hits in the eighth after entering in the pinch on 10/2/91 vs. LAD. Acquired by the Padres on 7/22 and hit .267 (58-for-217) with five doubles, one triple, four homers and 17 RBI in 56 games...After joining the club on 7/23, led the team in plate appearances (246) and at-bats (217), ranked second on the club in batting average and was fourth in walks (23)...Among qualified Major League rookies, his .260 batting average and .336 OBP ranked second while his .369 slugging percentage ranked third...Played four different positions for the Padres: 45 at third base (41 starts), 10 at second base (eight starts), seven in left field (four starts) and three at shortstop (one start)...In 535 total plate appearances, drew 53 walks and struck out 58 times…since 1990, was one of eight Major League rookies to walk 50+ times and strike out 60-or-fewer times in 500+ PA...Recorded an RBI in each of his first five games with the Padres from 7/23 - 27, becoming the first player in franchise history to record an RBI in each of his first five games with the club, surpassing the four-game streaks by Carlos Quentin (5/28 - 6/1/12) and Gene Tenace (4/6-10/77)...Recorded an RBI in seven of his first eight games, becoming the first player in franchise history to accomplish that feat…since the 1920 season, Solarte was the 12th Major League player to tally an RBI in seven-or-more of his first eight games with a new team and the first NL player to do so since Bobby Murcer of the Cubs from 4/7-17/77...After joining the Padres on 7/23, hit .356/.385/.575 (26-for-73) against left-handed pitching…his batting average against southpaws in that time ranked fourth in the Majors and third in the National League, while his on-base percentage ranked third in the Majors and first in the National League…his slugging percentage was the best in MLB...Made the Opening Day roster for the New York Yankees, the first of his career…in 75 games with New York prior to being dealt to San Diego, was hitting .254/.337/.381 (64-for-252) with 14 doubles, six homers and 31 RBI. Spent the entire season with Triple-A Round Rock, batting .276 (145-for-526) and setting career highs in HR (12) and RBI (75)…scored 66R and tied for the team lead with 31 doubles, also leading the club in games (133), hits and RBI…produced a 14-game hitting streak from 5/20-6/2 (.434, 23-for-53, 3HR) and an 11-game hitting streak from 6/19-30 (.404, 19-for-47, 2HR)…had 5RBI on 6/21 vs. Memphis…hit .381 in May and .322 in June, but only .219 after the All-Star break (32-for-146)…went 1-for-30 in his final 8G (.033)…batted .321 vs. LHP (52-for-162, 3HR) and .255 vs. RHP (93-for-364, 9HR)…recorded 42 multi-hit games, the third consecutive season in which he had multiple hits in at least 40G…following the season, hit .303 (40-for-132) in 38G for Aragua of the Venezuelan Winter League, marking the fourth time in the past five seasons he hit .300-or-better for the club…went 5-for-5 on 11/21 vs. Zulia, marking the first 5-hit game of his professional career. Spent his entire first season in the Rangers organization with Round Rock (AAA), his first season above the AA level...established new career highs in games (130), home runs (11), RBI (54), runs scored (69), walks (41), at-bats (518), and sacrifice flies (6) while falling 2 hits shy of his career high...led the Pacific Coast League with a career-high 29 grounded-into-double-plays, and ranked 5th in at-bats...was the 2nd-toughest hitter in the PCL to strike out, whiffing just 44 times (12.91 PA per strikeout)...finished among Express team leaders in games (3rd), at-bats (3rd), hits (2nd), and doubles (T2nd)...the switch-hitter posted a .302 average (49-162) against southpaws and batted .303 (86-284) with 20 doubles and 9 of 11 home runs on the road...logged 44 multi-hit efforts, including season-high 4 hits on Aug. 12 at Col. Springs...had only 3 multi-strikeout games...three consecutive 3-hit games, April 20-22...9 of 11 home runs were solo...had a 61-game homerless drought from May 15-July 28...hit .310 (27-87) with a .368 OBP when leading off an inning...hit .167 (8-48) over the season's first 11 games...had a 22-game hitting streak, 2nd-longest in PCL, from April 19-May 11 in which he batted .376 (35-93) with 7 doubles, 5 home runs, 13 RBI, and 16 runs scored, lifting his average to .305...batted .417 (10-24) over a 6-game stretch from May 13-20 to raise his average to a season-high .314...hit .243 (52-214) over 55 games from May 21-July 25, dropping his season average to .274...posted a .326 average (44-135) with 7 doubles, 5 homers, 16 RBI, and 24 runs over his final 35 games...played a career-high 91 games at second base and also saw time at third base (13 games), first base (1), and left field (21)...posted a .976 fielding pct. at second base and led all PCL second basemen with 93 double plays...batted .301 (53-176) with 13 doubles, 2 home runs, 23 RBI, and 28 runs scored in 47 games for Aragua in the Venezuelan Winter League...played 27 games at second base, 15 at third base, and 3 in the outfield. Played his first full season at the Double-A level, establishingcareer highs in average (.329), games (121), runs (64), hits(151), doubles (36), homers (7), RBI (49), on-base pct. (.329), andslugging (.466) for New Britain in the Eastern League...rankedamong league leaders in average (2nd) and hits (4th), and his13.08 PA's per strikeout was easily the highest in the league...named to EL All-Star squad...had at least a .300 average in everymonth...had 41 multi-hit games and went hitless in just 27 of 121games all year...had 3 hits in consecutive games on 2 differentoccasions...went consecutive games without a hit just 5 times allseason...had season-high 15-game hit streak, April 21-May 7 at.417 (25-60) with 2 HR, 7 doubles, a triple, 14 RBI, and 12 runs...the stretch earned him EL Batter of the Week honors for April 25-May 2...over final 9 games to end the season from Aug. 29-Sept.5, batted .439 (18-41) to raise final average from .318 to .329...had season-high 4 hits in next-to-last game Sept. 4 vs. Trenton...had 2-run single in his lone pinch-hit appearance, and batted .208(15-72) as the designated hitter, but posted a .350 (135-386) averagewhen playing second base or left field...had a .974 (10E/386 TC) fielding pct. in 89 games at second base and a .962 (1E/26 TC) figure in 16 games in left. Batted .238 (70-294) with 3 HR and33 RBI in 83 games for Beloit (A) and Ft. Myers...2007: Tied forteam lead in RBI (33) with GCL Twins in his first season in theU.S...2006: Made pro debut with Twins entry in the DominicanSummer League. March 28, 2019 San Francisco Giants selected the contract of 3B Yangervis Solarte from Sacramento River Cats. February 21, 2019 3B Yangervis Solarte assigned to Sacramento River Cats. February 18, 2019 San Francisco Giants signed free agent 3B Yangervis Solarte to a minor league contract and invited him to spring training. 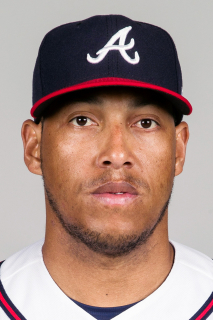 November 30, 2018 3B Yangervis Solarte elected free agency. September 9, 2018 Toronto Blue Jays activated 3B Yangervis Solarte from the 10-day disabled list. August 12, 2018 Toronto Blue Jays placed 3B Yangervis Solarte on the 10-day disabled list. Right oblique. July 30, 2017 San Diego Padres activated 2B Yangervis Solarte from the 10-day disabled list. July 27, 2017 San Diego Padres sent 2B Yangervis Solarte on a rehab assignment to El Paso Chihuahuas. June 23, 2017 San Diego Padres placed 2B Yangervis Solarte on the 10-day disabled list retroactive to June 21, 2017. Strained left oblique. August 1, 2016 San Diego Padres activated 2B Yangervis Solarte. July 27, 2016 3B Yangervis Solarte roster status changed by San Diego Padres. May 21, 2016 San Diego Padres activated 3B Yangervis Solarte from the 15-day disabled list. May 19, 2016 San Diego Padres sent 3B Yangervis Solarte on a rehab assignment to El Paso Chihuahuas. April 10, 2016 San Diego Padres placed 3B Yangervis Solarte on the 15-day disabled list. Right hamstring strain. January 24, 2015 3B Yangervis Solarte assigned to Navegantes del Magallanes from Tigres de Aragua. November 5, 2014 3B Yangervis Solarte assigned to Tigres de Aragua. July 23, 2014 San Diego Padres activated 3B Yangervis Solarte. July 22, 2014 San Diego Padres traded Chase Headley and cash to New York Yankees for 3B Yangervis Solarte and RHP Rafael De Paula. July 10, 2014 New York Yankees recalled 3B Yangervis Solarte from Scranton/Wilkes-Barre RailRiders. July 3, 2014 New York Yankees optioned 3B Yangervis Solarte to Scranton/Wilkes-Barre RailRiders. April 1, 2014 New York Yankees selected the contract of Yangervis Solarte from Scranton/Wilkes-Barre RailRiders. January 16, 2014 New York Yankees signed free agent 2B Yangervis Solarte to a minor league contract and invited him to spring training. January 16, 2014 2B Yangervis Solarte assigned to Scranton/Wilkes-Barre RailRiders. December 31, 2013 2B Yangervis Solarte assigned to Leones del Caracas. November 4, 2013 2B Yangervis Solarte elected free agency. October 10, 2013 2B Yangervis Solarte assigned to Tigres de Aragua. December 31, 2012 OF Yangervis Solarte transferred to Cardenales de Lara from Tigres de Aragua. November 28, 2012 Texas Rangers signed free agent 2B Yangervis Solarte to a minor league contract and invited him to spring training. November 2, 2012 OF Yangervis Solarte elected free agency. April 2, 2012 OF Yangervis Solarte assigned to Round Rock Express. December 2, 2011 Texas Rangers signed free agent 2B Yangervis Solarte to a minor league contract and invited him to spring training. November 2, 2011 LF Yangervis Solarte elected free agency. April 1, 2011 LF Yangervis Solarte assigned to New Britain Rock Cats from Fort Myers Miracle. March 13, 2011 OF Yangervis Solarte assigned to Minnesota Twins. October 4, 2010 Tigres de Aragua signed Yangervis Solarte. August 9, 2010 Yangervis Solarte assigned to Fort Myers Miracle. July 30, 2010 sent 3B Yangervis Solarte on a rehab assignment to GCL Twins. May 12, 2010 2B Yangervis Solarte assigned to New Britain Rock Cats from Fort Myers Miracle. April 7, 2010 Yangervis Solarte assigned to Fort Myers Miracle. March 24, 2010 RF Yangervis Solarte assigned to Minnesota Twins. November 17, 2009 OF Yangervis Solarte assigned to Tigres de Aragua. September 1, 2009 DH Yangervis Solarte assigned to New Britain Rock Cats from Fort Myers Miracle. August 10, 2009 sent DH Yangervis Solarte on a rehab assignment to GCL Twins. May 4, 2009 Yangervis Solarte roster status changed by Fort Myers Miracle. April 9, 2009 RF Yangervis Solarte assigned to Fort Myers Miracle from Beloit Snappers.